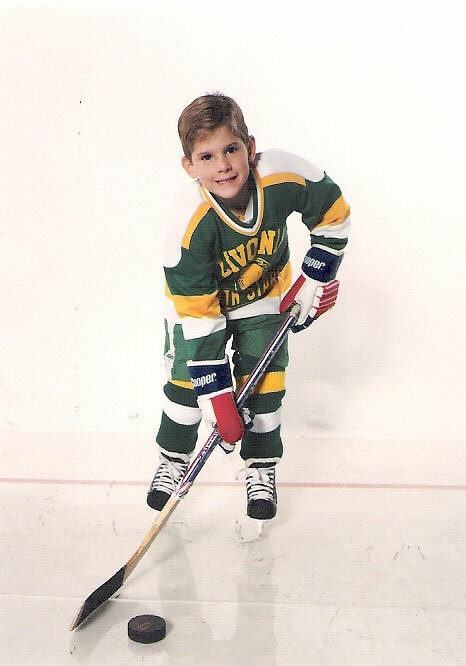 Ryan Kesler is the lone American on the current Canucks roster but that doesn't mean hockey was any less important growing up. Hockey runs in his family and his dad was his coach so it's something that was pretty hard to escape. As a first round pick, all eyes were on the talented centre from Livonia, Michigan but it wasn't always that easy. He went from having no team to now being picked to play for one of the most significant teams of his career, Team USA in the upcoming 2010 Winter Olympic Games. 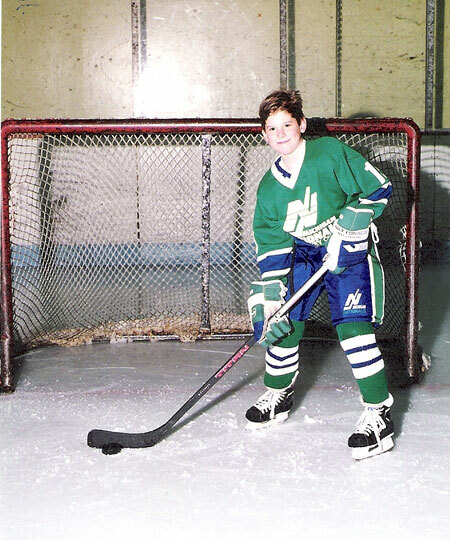 Kesler shares his tales from his road to the NHL. Four? But I don’t really remember. My first skating lessons were mini might with my dad - my dad taught me. Livonia Eddie Edgar Arena. 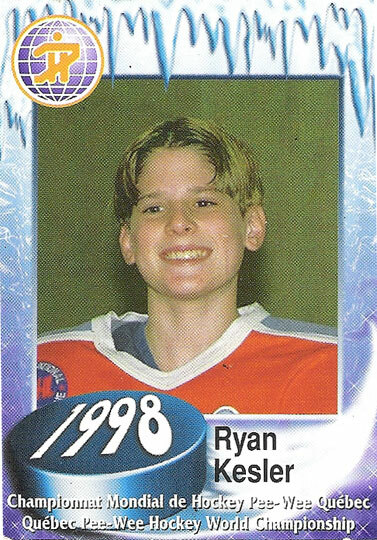 I don't remember if I was any good but I just remember not being the biggest guy on the ice. The Livonia Knights when I was 5 years old. What can you remember about this photo (pictured left)? That was the Livonia North Stars and I think was six or seven. I know that the haircut was definitely not my idea - for sure it was my dad. It was probably my dad and my brother’s idea intitially because they were both involved in it. I know later on, I kept doing it because I wanted to do everything my older brother was doing so that’s probably why I started. What is your favourite childhood hockey memory? Skating in my backyard rink. No one knew how to skate around where we lived so my brother and I were the only ones who would use it but not my sister, we didn’t let her. Me and my brother actually got along, we were best friends, we’re like Hank and Danny - we never fight. 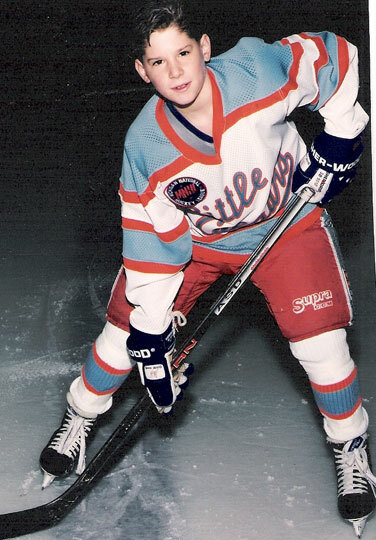 What was hockey like growing up in your hometown? It was big where I was. The Detroit area is a pretty good area for hockey so it’s kind of like a Canadian city that way. It was very competitive. So far, probably my first NHL game. It was against the Toronto Maple Leafs in Toronto. I played against Mats Sundin and then I ended up playing with him so that was pretty cool. I remember I had a breakaway and missed with Ed Belfour in net but I didn't score that night. What advice would you give someone aspiring to get into the NHL? Just work hard. If you work hard, it doesn’t matter about skill that much, it’s about hard work. What was the biggest obstacle to get to where you are today? I was going to quit hockey when I was 15 because I didn’t make any teams and I got cut from all the teams. But I didn’t end up quitting because my dad took over a team and I wanted to play for him. Having my dad as my coach, he was harder on me big time - I was the whipping boy. I couldn’t get away from him because I had to drive home in the car with him but he was probably one of my better hockey coaches - maybe my best one. He never liked when I was inconsistent, like when I had one good game and one bad game - he didn’t like that. I just remember at the game, I had to try my hardest and try my best and it’s helped me here. Yes, it’s very humbling when you sit back and look at how many people actually do make it and I’m a lucky one so it feels great.